It’s the book that gave me freedom: Michael Ondaatje on The English Patient – Because in this game of life the more you know the better player you will be. 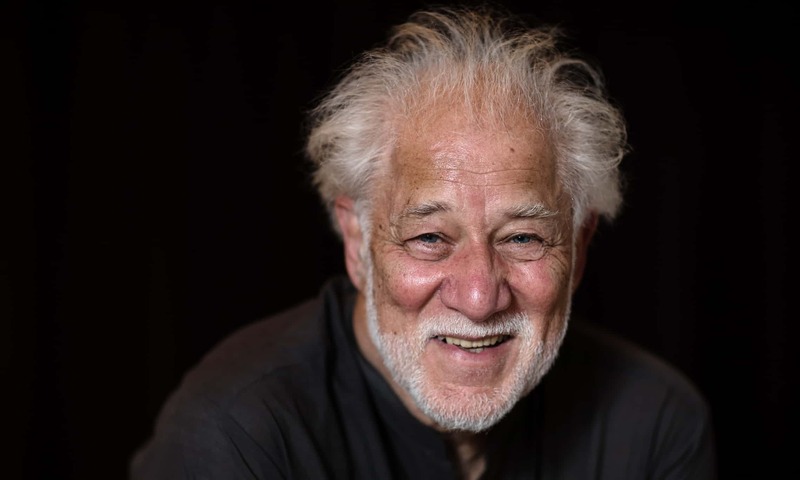 On Sunday night, Michael Ondaatje stepped on to the wide stage of the Royal Festival Hall in London. He found a lectern and, white head bowed, reached into his pocket for a small piece of paper. It began with a small night conversation between a burned patient and a nurse, he said. I did not know at first where it was taking place, or who the two characters were. I thought it might be a brief novella all dialogue, European-style, big type. The audience laughed. Because what actually turned up, of course, was The English Patient: 300-plus pages about four people inhabiting the mined rooms of a remote Italian villa at the end of the second world war; four very different people who meet in damaged solitude, who talk (there are a lot of night conversations), who love, whose histories, revealed in vivid flashes, become a taut, outraged meditation on the idea of war, of nationalism and of prejudice; a meditation that slips between spies and explorers, Suffolk and the Egyptian desert; the Punjab and Womens College Hospital, Toronto, as easily as the sapper, Kip, slips into bomb craters to defuse bombs. The English Patient shared the Booker prize with Barry Unsworths Sacred Hunger in 1992, has been translated into 38 languages, and in 1996 became an Anthony Minghella-directed film winning nine Academy awards, and grossing $231m worldwide to date. By Sunday night it had been shortlisted for the Golden Man Booker 50: the best Booker winners of the last 50 years, arrived at by decade. Ondaatjes competition was VS Naipaul, for In a Free State (1970s), Penelope Livelys Moon Tiger (80s), Hilary Mantels Wolf Hall (2000s), and George Saunders Lincoln in the Bardo (10s). And, after a public vote, The English Patient won. Upstairs, in a room with long views of a Thames blurry with heat, Ondaatje accepts congratulations and a glass of white wine, please. My first in months. He has one of the most recognisable faces in literature: pale eyes sharp in a wide, tanned face, a halo of white hair and beard. He is gracious, quick and thoughtful, but also well-defended, steely and distracted; aware of friends waiting to celebrate with him downstairs, he talks faster and faster, and eventually simply stops. What an extraordinary afterlife the book has had. Well, it already had a second afterlife with the film, right? And that was a bolt of lightning that I wasnt expecting. And then this suddenly redoing the whole thing again. Another horse race, you know? He laughs. Though both were a fillip, really, on what the first prize gave him, which was the most precious thing: Freedom. I had been teaching for many, many years up to that point. Teaching full-time, in fact, and trying to write a complicated novel, and that had become too much to manage. I thought I was going to lose it and I had quit my job. I just needed to finish the book. It was a bet. Which could not have come off more handsomely. Penelope Lively, in her speech earlier in the evening, had mused about how different a person she was, at 85, from the one who in her mid-50s had written Moon Tiger. What did Ondaatje think of the self who wrote The English Patient (which he has not reread since it was published)? Well, I still like him. More interesting, he thinks, is the way in which each book hes written is like a time capsule. When he was writing The English Patient, between about 1985 and 1992, there was an argument going on in Canada about nationalism and integration. They didnt want Sikhs to wear turbans if they were policemen and stuff like that. That was in the air. The striking thing is how contemporary his concerns how to release oneself from the imposition of nationalism; how to rediscover ones essential individuality or true, often artistic allegiances now feel. Contemporary, and somehow, in a harsher time, impossibly idealistic. Ondaatje is fond of a quotation from John Berger: Never again will a story be told as if it were the only one. It is a moral imperative, isnt it? Especially in current western politics, which seems so determined to cancel the multiplicity of viewpoints from all over the world, or at least to pretend that they dont exist. Oh, absolutely. The Berger quote is very interesting because its a political statement, but its also an artistic statement. So wasnt the ending of The English Patient, in which the Sikh Kip (whose relationship with the Canadian nurse, Hana, Ondaatje describes as being like continents meeting) drops everything and returns home when he hears of the bombs falling on Hiroshima and Nagasaki, a failure of nerve? A reimposition of the nationalisms dissolved through the rest of the novel, where, as Kamila Shamsie put it: Ondaatjes imagination acknowledges no borders? They cant overcome, says Ondaatje, who remembers that he found the last pages of The English Patient sad to write. It is too difficult for most people; and for Kip, especially, who in the nuclear glare sees suddenly that they would never have dropped such a bomb on a white nation. In Warlight, published only last month, Ondaatje refers to a subplot of greyhound smuggling up the Thames as a vast mongrelisation of pedigree dogs; it could equally apply to the kitchens of the Criterion, in Piccadilly, where his teenage character Nathaniel finds himself working; to London restaurant kitchens today; to Ondaatjes ideal of the world and to Ondaatje, too. Born in what was then Ceylon, he is of Dutch-Tamil-Sinhalese descent. His parents, tea planters, separated when he was about seven, when his mother moved to England; he would, decades later, in Running in the Family describe in both funny and heartbreaking prose his fathers eventual lonely death from alcoholism. He was cared for by his chaotic, dramatic, but loving extended family, then aged 11 sent, alone, on the three-week boat voyage to England. It was only when his grown children were appalled by it that he realised it might be unusual, and a good story (it became the scaffolding for 2011s The Cats Table, about a boy called Michael, to whom the same thing happens). He went to Dulwich College in London, where Ondaatje was nicknamed Kip a reference to kipper grease. He has just given a talk at Dulwich, in fact, about Warlight and I saw three or four people I hadnt seen since I was a teenager. Suddenly Im getting emails to Kip all the time. Thats how they remember me. In The English Patient, Kip is perfectly happy with his nickname, until the nuclear bombs fall, when all at once he realises: His name is Kirpal Singh, and he does not know what he is doing here. Did acquiring a British moniker ever make Ondaatje feel similarly alienated? Yeah well, it is strange. But he doesnt remember the name affecting him (it didnt feel insulting) and although he has previously said how much he disliked England, he is more mellow about it now. I went through school with a lot of irony. I just realised that this is a different place, with a different set of rules, and values, and tastes. Not that its bad, but I had to adapt to it and it happened fast. In Running in the Family he describes his impetus for memoir as a feeling that he had slipped past a childhood I had ignored and not understood. Is that what hes been doing in his fiction, too trying to understand his childhood? Yeah and I think thats probably true in pretty much most of the books, I think. Perhaps. I think its possible, in retrospect. I think maybe Ive done it now. Ill leave childhood alone. He eventually found his own freedom by leaving again for Canada, where his brother Christopher already lived, and university. (Christopher, also, is a writer and a hugely successful businessman, a philanthropist and a bobsledding Olympian.) I wonder if it was easier to write from there. His reply is instant. I dont think I would ever have been able to write if I lived in England. Because there was a mythology. In the 50s, to say you were a poet John Keats was a poet, or Shakespeare was a poet it had a lot of gall. Ted Hughes and all those guys hadnt even emerged yet. That happened 10 years after I left. In Canada he met young writers, was published by small presses unfazed by novels that read like poems, and vice versa. He taught, he became an editor himself at the literary magazine Brick, from which he only stepped down a year ago, after 30 years. And now he has returned, to be crowned by the British reading public the best of the Booker 50. In his thank you he listed novels that missed out on the Booker but that he thought should get a mention by JL Carr, William Trevor, Barbara Pym, Alice Munro and Samuel Selvon. He thanked small presses everywhere, and Minghella, who is no longer with us but I suspect has something to do with the result of this vote. Theres a knowingness in the laugh he gets from the audience this time, too.